Just tech-oriented projects and sharing them! 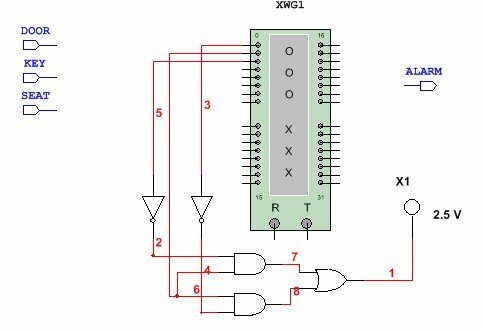 Design and simulate a simple car alarm on NI Multism 12.0 and implement on a Xilinx FPGA Spartan 3 Starter kit board from Digilent. This is a two parts post. In this part we will design a logic circuit and simulate. In part II we will implement in an actual Xilinx FPGA. FPGA (Field Programmable Gate Array) is a chip containing a matrix of logic cells with programmable interconnects, which can be configured by a user. By configuring the function of each logic cell and the way they are connected between each other, one can make FPGA implement any digital circuit (limited only by the capacity of the device). Xilinx offers the broadest portfolio of FPGAs providing advanced features, lowest power, highest performance, and highest value for any FPGA-based design. Xilinx is the world’s leading provider of All Programmable FPGA’s, SoC’s and 3D ICs. These industry leading devices are coupled with a next-generation design environment and IP to serve a broad range of customer needs, from programmable logic to programmable systems integration. Design and simulation is facilitated by easy-to-use and intuitive Electronic Design Automation (EDA) tool Multisim 12.0 from National Instruments. 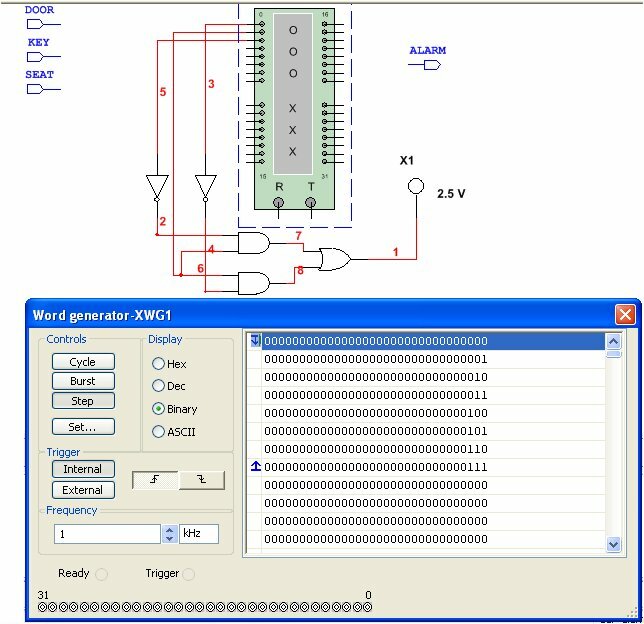 NI Multisim (formerly known as Electronics Workbench) is an electronic schematic capture and simulation program which is part of a suite of circuit design programs, along with NI Ultiboard. 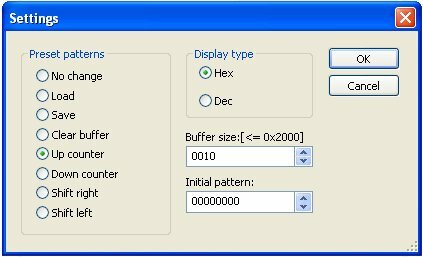 Multisim is one of the few circuit design programs to employ the original Berkeley SPICE based software simulation. Multisim was originally created by a company named Electronics Workbench, which is now a division of National Instruments. 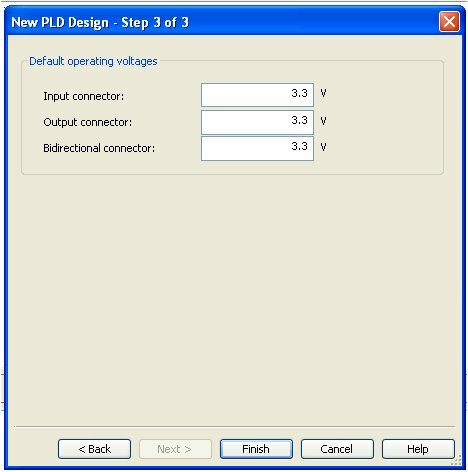 Multisim includes microcontroller simulation (formerly known as MultiMCU), PLD design (exporting VHDL code) as well as integrated import and export features to the Printed Circuit Board layout software in the suite, NI Ultiboard. Multisim is widely used in academia and industry for circuits education, electronic schematic design and SPICE simulation. Implentation is made easy in FPGA boards from Digilent. Digilent’s Xilinx-based programmable logic boards are built around the latest FPGA technologies and time-tested solutions that offer robust performance at a very low price. Most boards feature on-board USB power & programming, and cost less than the price of a textbook. 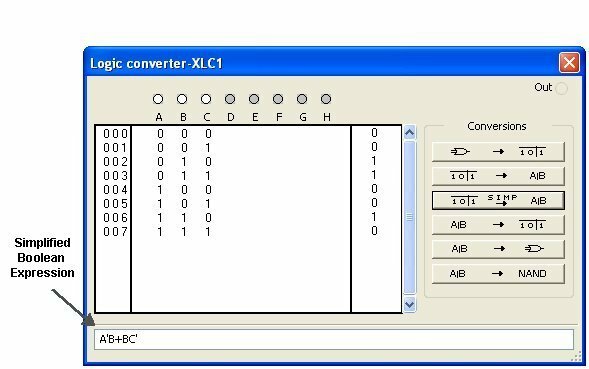 We will next simulate and test the Truth table in MultiSim 12.0. 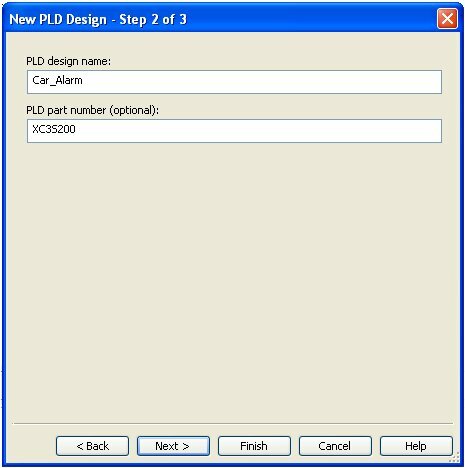 Press Next > and then in Step 2 window in PLD Design name field write Car_Alarm. In PLD part number (optional) field write XC3S200 which is the FPGA on Spartan 3 Starter Kit. 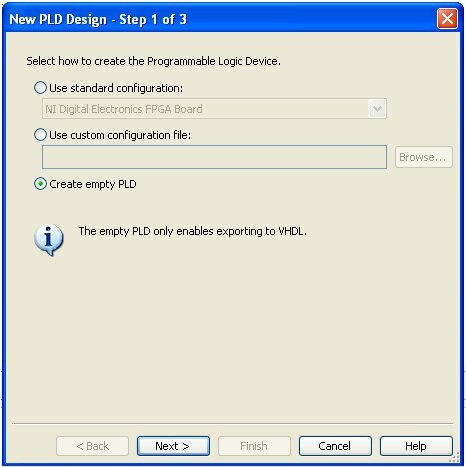 Note: The option of Create empty PLD is a recent one in Multisim – it may not be available in earlier versions. Do not change anything here. Just press the Finish button. Change the names of these connectors to DOOR, KEY, SEAT and ALARM and rearrange the layout of the connectors in a way to have ample space between input and output connectors. 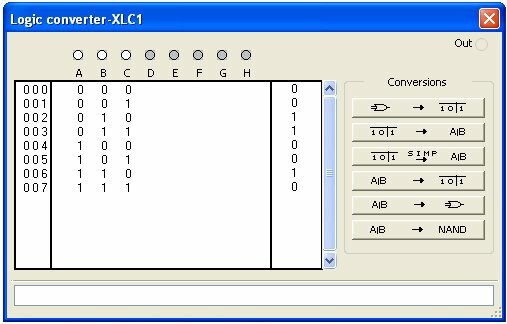 We will now use test and measurement tools in Multisim to generate the Boolean expression from Truth table, and then obtain our respective logic circuit. 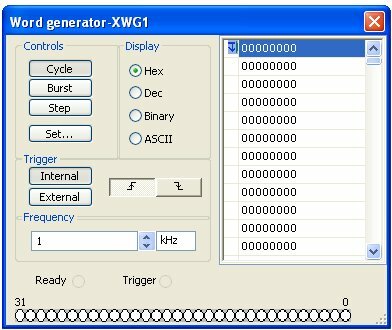 Press onto the Logic converter instrument and you will see the conversion setup. This resulting Boolean expression A’B + BC’ is exactly the same as we obtained manually from Karnaugh map at the beginning of this post. 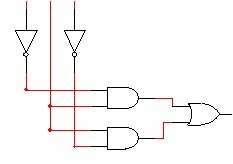 It will result in the same circuit as we have obtained manually at the top of this post from Boolean expression. 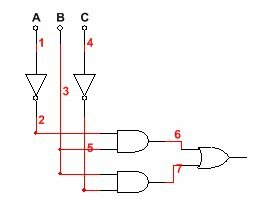 As in our original Truth table, the logic circuit will behave as expected and results can be seen step by step on the Probe lighting up or switching off. We are now ready to export the Multisim circuit to VHDL. A Car_alarm.vhd file has been exported. 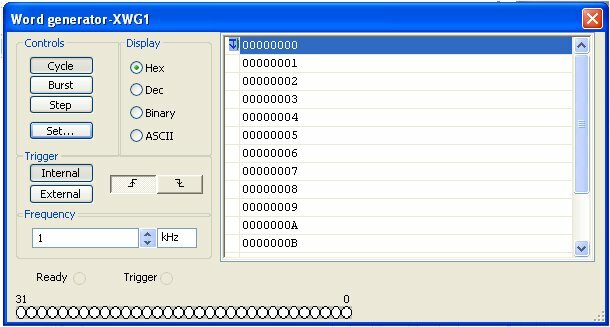 The Multisim simulation files and exported VHDL file can downloaded from here. A special credit is due to Project Navigator Tutorial at Brigham Young University site, for the truth table that serves as the basis for tutorial. Our appraoch is completely different. 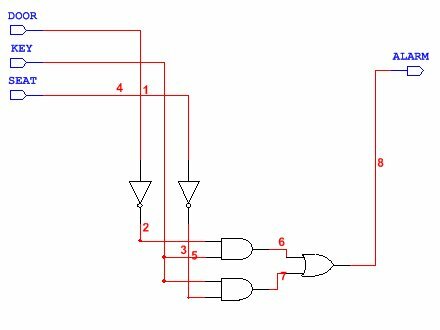 We have designed and simulated a logic circuit in Multisim 12.0 and exported the circuit as VHDL. In part II we will program and test the logic circuit in a Digilent Spartan 3 FPGA Starter kit board. Electronics engineer, part-time webmaster and owner of "Aliatron", a tech-oriented company registered in Portugal and Mozambique. Owner of "EU Halal", a trading and consulting company in Halal & Tayyib, 100% stun-free compliant. 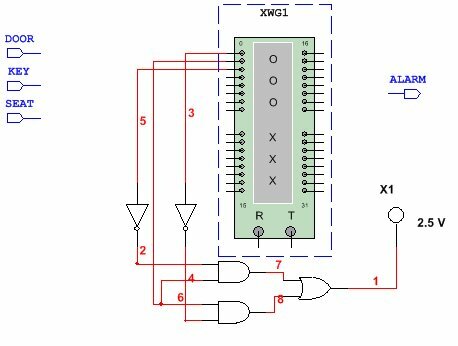 This entry was posted in Electronic Projects, Electronic Simulation, Programming and tagged Car Alarm, Digilent, FPGA, HDL code, Simple Alarm, Spartan-3E, Xilinx. Bookmark the permalink.